The folks at Caputo&apos;s Market are creating an informative food culture in Salt Lake City. 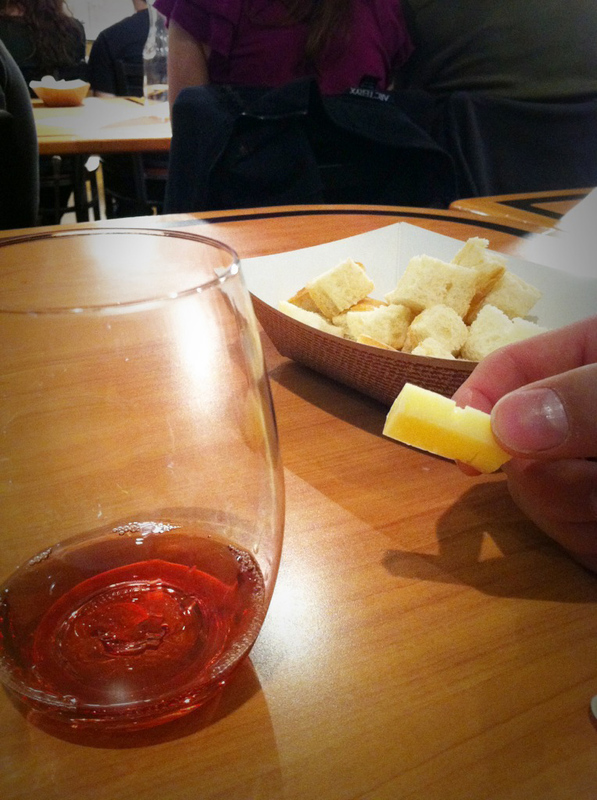 You can now go to their market and experience cheese and wine in their best attire during their Cheese and Wine Class. The creamiest soft cheeses that will ever slip onto your tongue, as well as the stinkiest (made illegal on public transportation in some countries.) The wines you will taste are all labels you can find at the local wine store. All of the wines were presented by Francis Fecteau of Libation, who you&apos;ll find to be entertaining as well as informative. One of the favorite cheeses of the night was the Wet Aged Gruyere Alpine Cheese. A cheese produced from cows who grazed on lush grasses and wild flowers, creating a caramelized grass finish. Matt Caputo tells stories of cheese makers traveling miles up the mountain with their animals and equipment with the sole purpose of creating the cheese they love and believe in. The class also gets to taste one of Caputo&apos;s own house-aged cheddar cheeses, which is aged in their cheese cave, wrapped in butter soaked bandages during its affinage (aging) process. Caputo&apos;s Market is located at 314 West 300 South in downtown Salt Lake. For more information regarding classes at Tony Caputo&apos;s, visit Tony Caputo&apos;s website or The Vintage Mixer blog.